The Sidos FC star was recognised for his outstanding performance in the Golden Eaglets 5-4 win over Tanzania in the opening match of the U-17 Africa Cup of Nations on Sunday. Akinkunmi took the accolade ahead of Giant Brillers FC striker Wisdom Ubani, who scored either side of half-time, and Tanzania U-17s golden boy Kevin John ‘Mbappe,’ allnigeriasoccer notes. The star had a hand in all the three goals scored by the five-time world champions in the first half. While fellow Golden Eaglet player Olatomi Alfred Olaniyan pounced on a rebounded shot from the Number 13 to open the scoring in the 21st minute, Wisdom Ubani benefited from his assist when he restored the lead on the half-hour mark. Eight minutes before half-time, Akinkunmi showed off his skills, beat the goalkeeper and tapped the ball into an empty net. He was replaced by Divine Nwachukwu in second-half injury time with the outcome of the game all but decided, allnigeriasoccer says. Akinkunmi’s career had attracted Premier League club Arsenal, which was locked in a chase for the Golden Eaglets star, according to media reports. 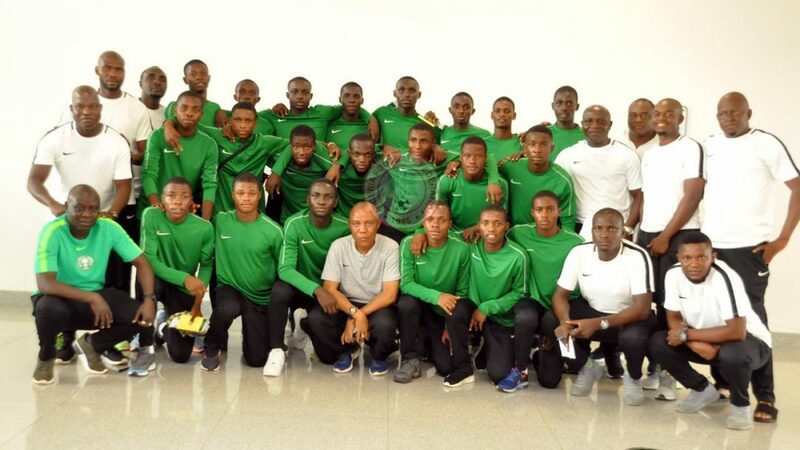 Akinkunmi is one of the Golden Eaglets trio who had attracted the attention of European football clubs. The two others are, skipper Samson Tijani and Olatomi Alfred Olaniyan, Akinkunmi, who featured for 3SC in the LaLiga U15 Promises, had also enhanced his market value with a ‘Man of the Match’ display against the Junior Elephants in their September 6, 2018 encounter, where he also crowned his outing with a well-taken goal from the penalty spot. In addition to Arsenal, Ajax Amsterdam and RSC Anderlecht are some of the clubs monitoring the performances of Akinkunmi Ayobami Amoo and those of his fellow rising stars Samson Okikiola Tijani, and Olatomi Alfred Olaniyan, with a view to signing them when they attain the age of majority, reports say.